This recipe has had a bit of a revamp and it’s even fresher and more fabulous than ever. 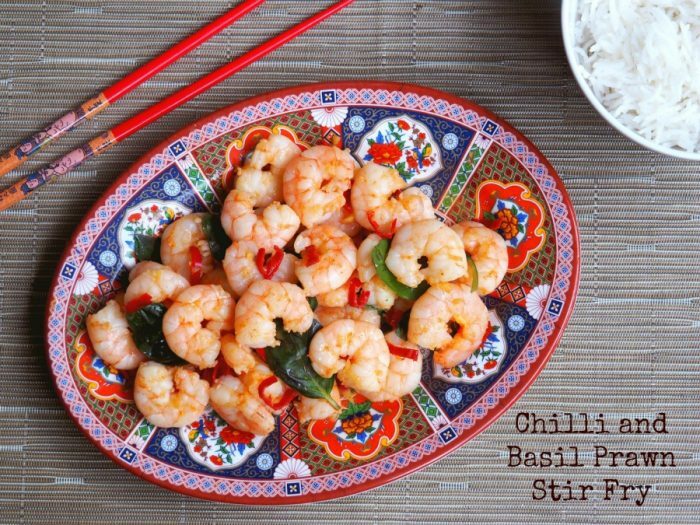 The list of ingredients is short but perfectly formed, resulting in a stir fry that is as fast as it is flavoursome. 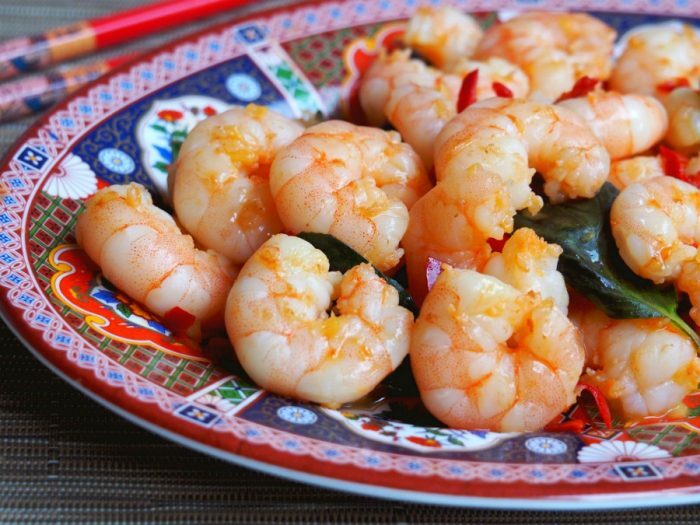 We revisited this recipe when my neighbour gave me a massive load of lovely limes, and the lime in the sauce really makes these prawns pop. 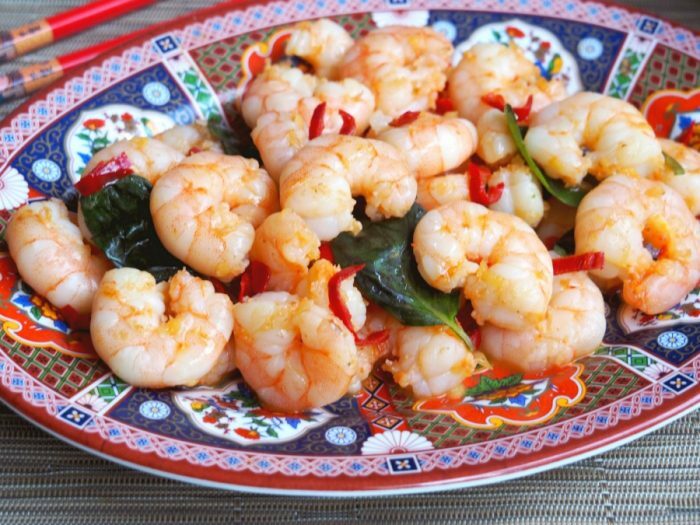 Alternatively if you want a shellfish free option, swap the prawns for some cubed firm fish fillets, but do make sure the fillets are firm unless you are looking for a flaked fish stir fry! If you’re looking a dinner dish that’s quick, easy, healthy and totally delish, then this is it! What’s your favourite stir fry? Which do you prefer lemon or lime? Heat a frying pan or wok over a high heat. Add the oil, chillies and ginger and cook for 1 minute. Add the prawns and cook for 1 minute or until sealed. 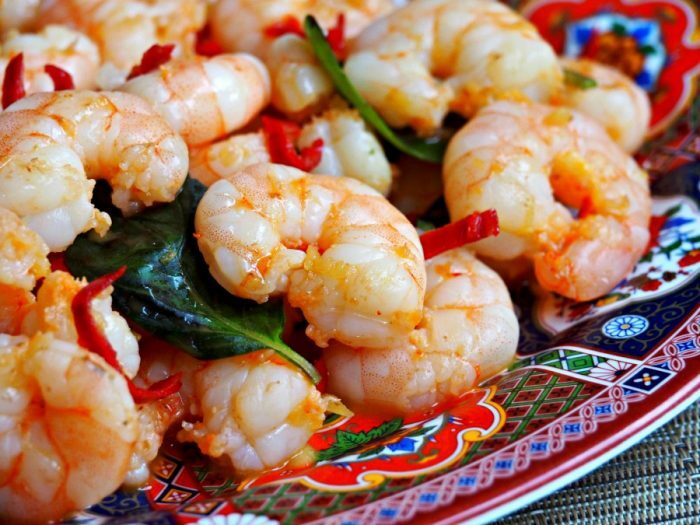 Combine the fish sauce, sugar and lime or lemon juice and pour over the prawns. Cook stirring, for 3 minutes or until the prawns are just cooked through. Stir through the basil and serve with steamed greens and rice.